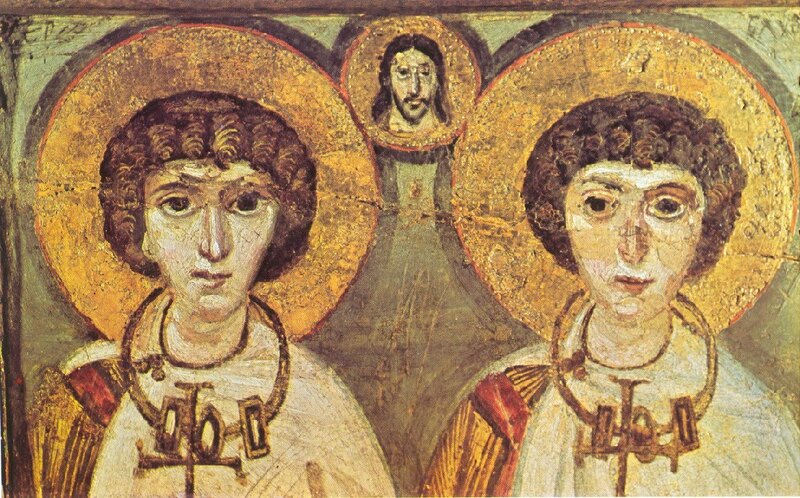 O much-suffering Sergius and all-glorious Bacchus, ye adornment of Christian athletes and eye of Christ’s Church, enlighten the eyes of our souls. Entreat the Lord, that we may escape the darkness of sin and may be shown to share in the never-waning light, through your supplications, O saints. Manfully arming your mind against the enemy, O most lauded martyrs, ye destroyed all their falsehood, receiving the trophy of victory from on high, and crying out with oneness of mind: How good and joyous it is to be with God! Adult Education Class Wednesday, following Vespers. Please try to come to Confession before Vespers if possible. Choir practice on Saturday, 4.30 pm. Notice the new time! Ss. 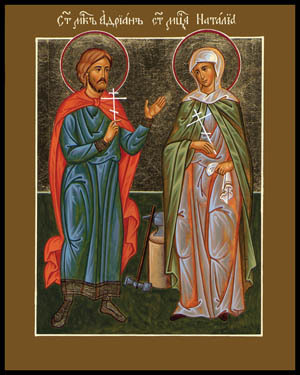 Mary and Martha Fellowship on Thursday, 7.00 pm. No Ss. Peter and Paul Fellowship this week. New time for Men’s Fellowship. On October 8 we read Luke 7: 36-50, a well-known story that the Gospel writer Luke may partially have borrowed from a similar one in Mark’s Gospel. These verses first tell us that Jesus has come as a dinner guest to the home of a Pharisee named Simon. We know from the accounts of His visits with friends Mary, Martha and Lazarus, and His attendance at the wedding in Cana, that Jesus enjoyed social occasions. Luke is describing here another time when Jesus socializes. But the invitation is odd—the host, we will learn in the following verses, has neglected some of the attentions usually accorded an honored guest, such as having a servant wash the guest’s feet, offering a hospitable kiss, and anointing the guest’s head with oil. Has the Pharisee invited Jesus with the intention of figuring Him out, rather than courteously offering Him a pleasant meal? This dinner was apparently a somewhat public event, and the house in which it took place was quite open. A prostitute with an alabaster jar of oil, intending to anoint Jesus, gets in easily. 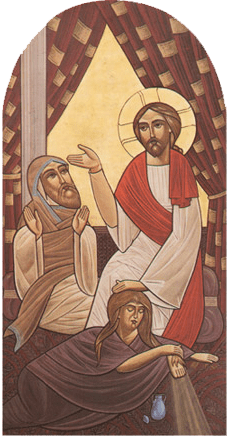 She may have planned to anoint Jesus’ hair, but then becomes too self-conscious to do something so familiar with Him, so she begins to anoint and kiss His feet. What Simon doesn’t realize is that Jesus knows exactly who and what sort she is. This is why Jesus asks him, “Do you see this woman?” Jesus is aware of what Simon has been thinking, and He also understands that the Pharisee believes he knows the woman, when in fact all he knows is “what sort” she is. Jesus is the One who knows her as a person and loves her. Jesus tells Simon a story about a creditor who forgives two debtors, one who owes a large debt and one whose debt is small. He asks Simon which of the two will love the creditor more, and Simon replies that he “supposes” it will be the one who has been forgiven more. Jesus compares the woman to that debtor, because she had many sins which have been forgiven. She knows what it means to be forgiven; that is why she is showing such signs of deep, humble love to her Lord, the forgiving One. What about the Pharisee? Jesus implies that Simon doesn’t know how sinful he is and how much he, too, needs God’s forgiveness. The danger is that he thinks he knows, believing he has far fewer sins than the woman and doesn’t need much in the way of forgiveness. How much do we know? How much do we only think we know? It’s still a good question.